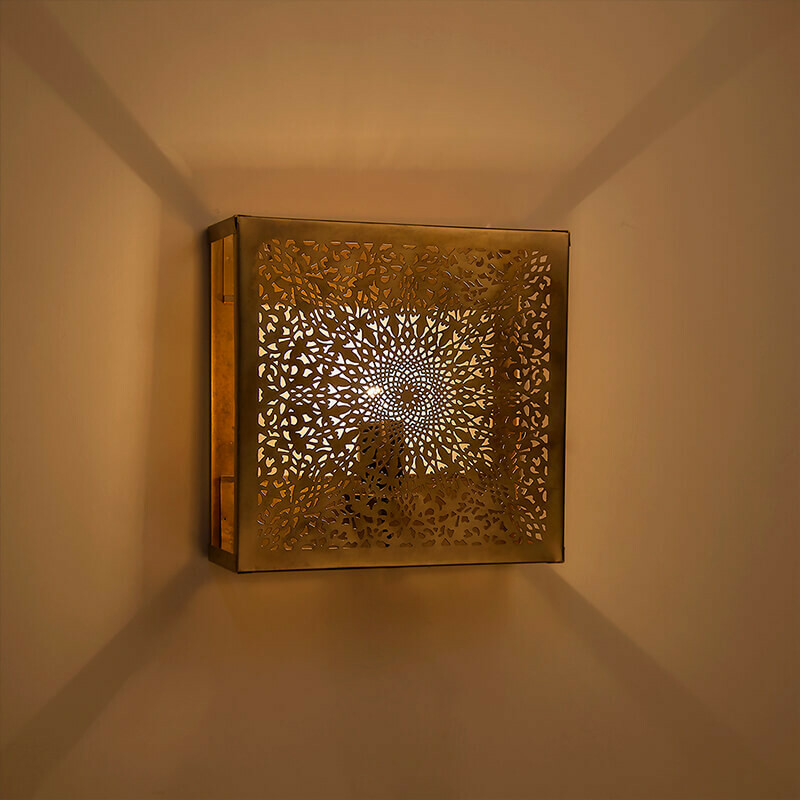 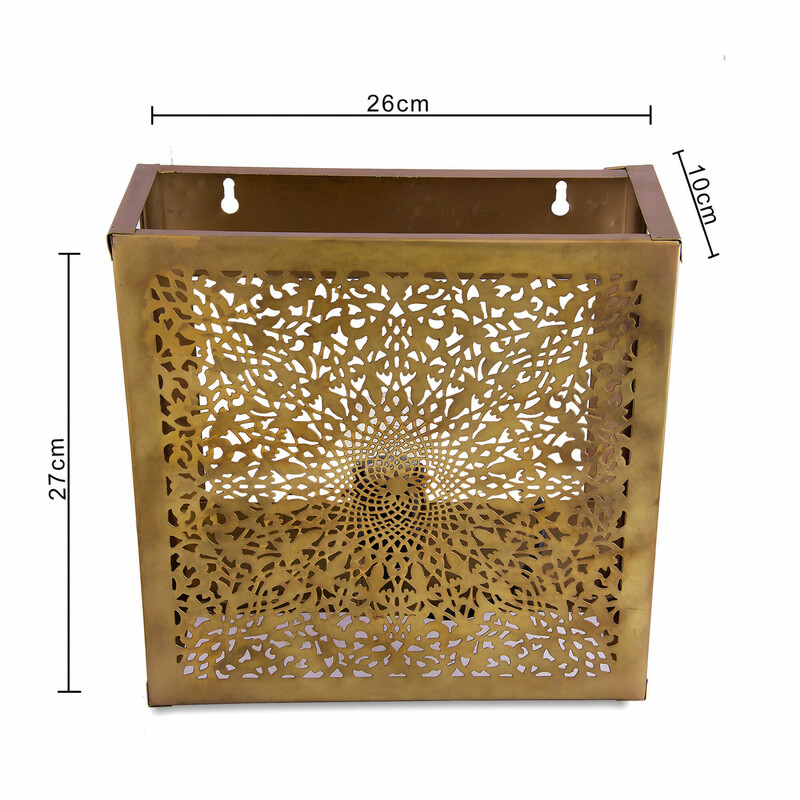 Moroccan Iron Wall lampshade with perforated design to create a beautiful reflection through its beautiful openwork and to illuminate your interior.These lamp shades sit over your existing wall light fitting or we have the wall mounted lighting kit available. 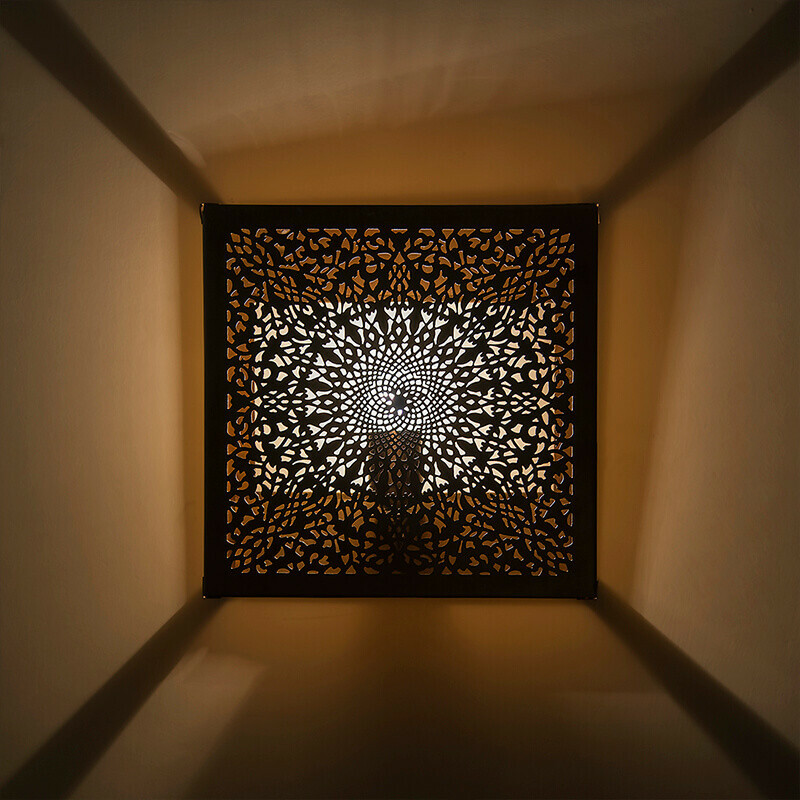 There are no electrics within the lampshade. 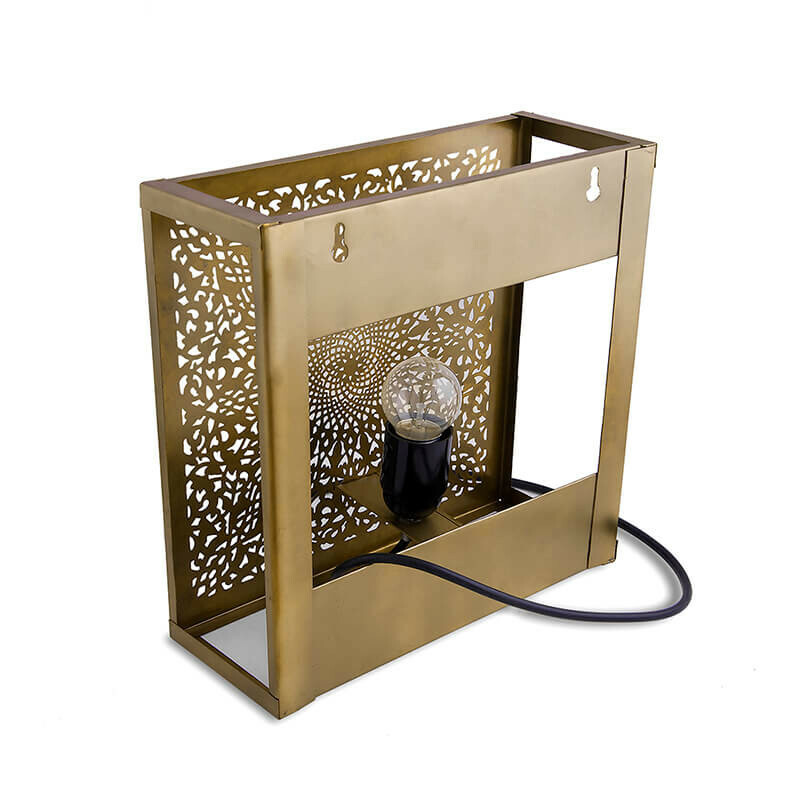 This lamp is forged and carved antiqued brass torch with brass flame creating a spectacular light spectacle. 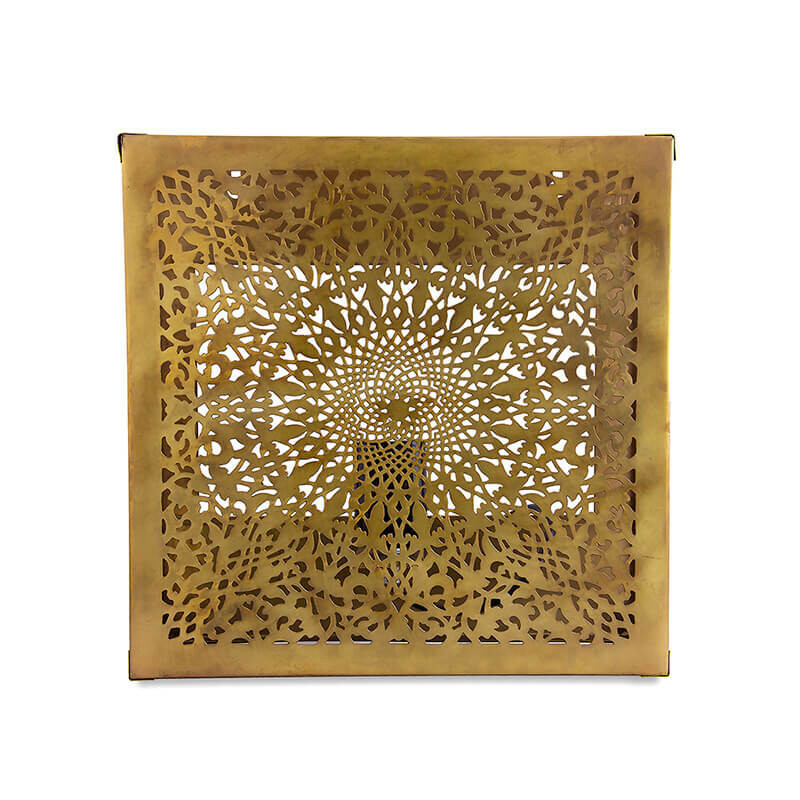 The brass fretwork is hand sawn gives the body and support of the flame , upon which a crescendo of varying sized brases fills. 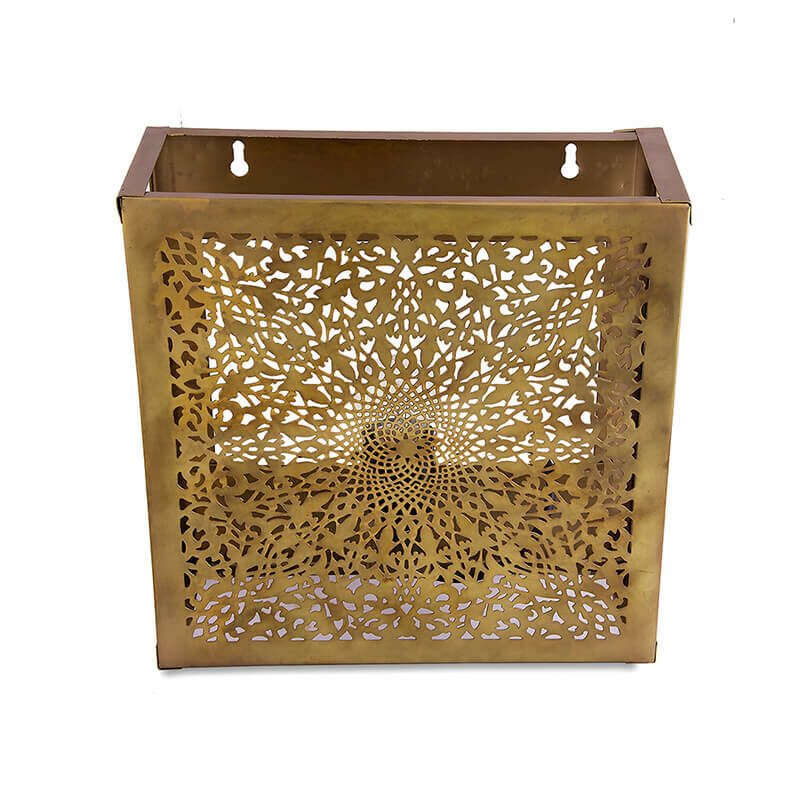 In a natural setting the brass adds a charismatic allure whilst the brass flame gleam in natural light.